Murals Condominiums is a new condominium development currently in pre-construction located at 4585 Highway 7 just west of Pine Valley Drive in Woodbridge, Ontario by Forest Green Homes. It is a proposed 10 storey mid-rise residential building desgined by Graziani + Gorazza Architects Inc. with prices starting from the upper $200,000's. The Murals Condos is located in the heart of Woodbridge which is large community located in the City of Vaughan. This is a family-friendly area with a prominent Italian population but recently there has been an influx of almost every population from all different cultures around the world. This development is located close to schools, parks, shops and restaurants. Everything you need is located nearby. There is also accessible public transportation with the Viva Transt just steps from the Murals. 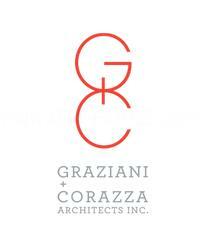 Murals Condominiums is designed by Graziani + Gorazza Architects Inc. which is an architectural firm that was established in 1997 creating both big and small projects and specializes in mixed-use community, institutional, commercial, residential and neighbourhood infill projects. Their philosophy is "pushing the creative envelope to ensure the most unique and dynamic solution". This new residential development by Forest Green Homes is located near the Humber River and not too far away from The Country Club Golf Club, The National Gulf Club of Canada and the Humber Valley Golf Course. There's also many parks that are situated nearby such as the Torii Park, Alexander Elisa Park and the Robert Watson Memorial Park. Murals Condos is also located within approximately 10 kilometres to the Vaughan Grove Sports Park where the Ontario Soccer Centre is located as well as the Boyd Conservation Area, the Kortright Centre for Conservation, the York University and the Vaughan Mills Shopping Centre. Canada's Wonderland is located just to the north of the Vaughan Mills as well. Located between Highway 400 and Highway 27 and just north of the Highway 407 is where you can find the Murals Condominiums coming soon by Forest Green Homes to the Woodbridge community where you can find "everything city living has to offer". 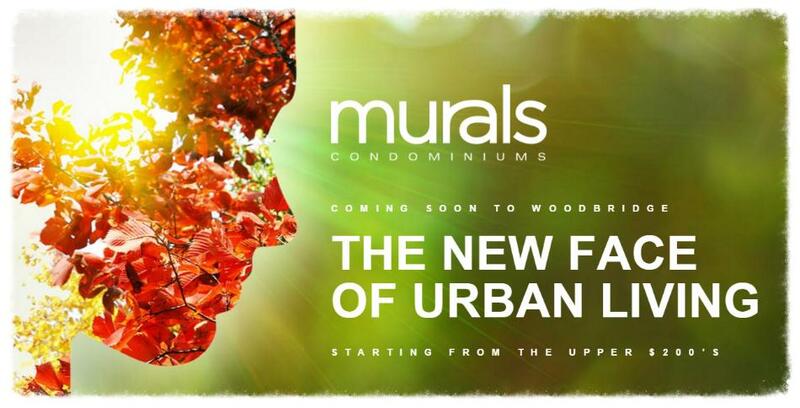 Register with us today for more information on the Murals Condominiums by Forest Green Homes! For more information, please register today for the Murals Condominiums.